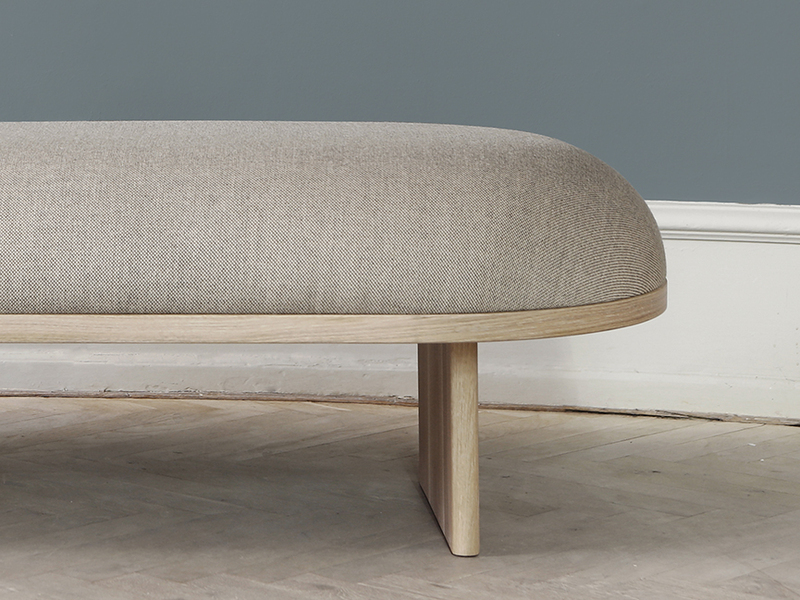 Meaning ‘to sit at ease’ in Japanese, Anza is a seating collection composed of pouffe, benches and a coffee table. 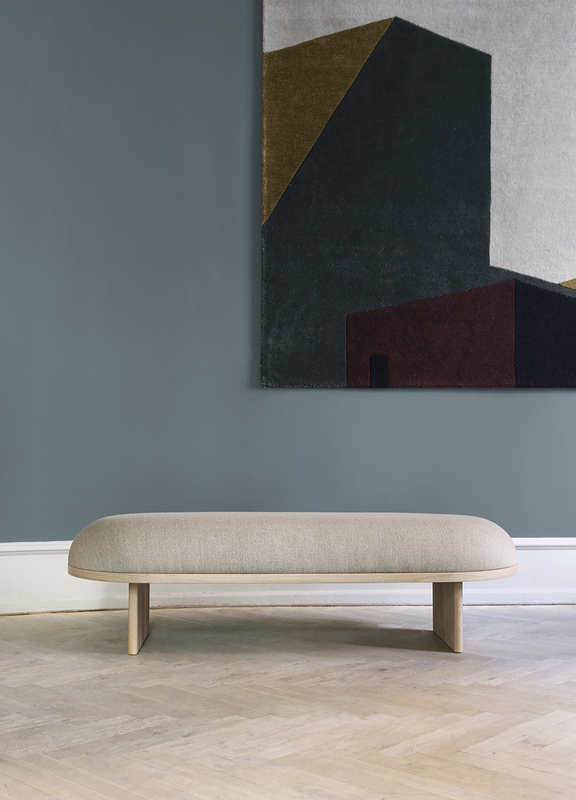 Inspired by the Japanese Zabuton style (cushion used to seat on the floor), the aim was to create a generous floating cushion, which allow for a dynamic seating. The soft outlines, invite for a multitude of seating postures, meant to create a warm atmosphere where various scenarios can unfold. For the launch, a very special textile called ´Tango Chirimen’ has been developed with a Kyoto-based textile and silk screen manufacturer. This patchwork like pattern, originally designed in the 18th century in Japan, was updated with a new colour scale to match the official PWTBS colours. 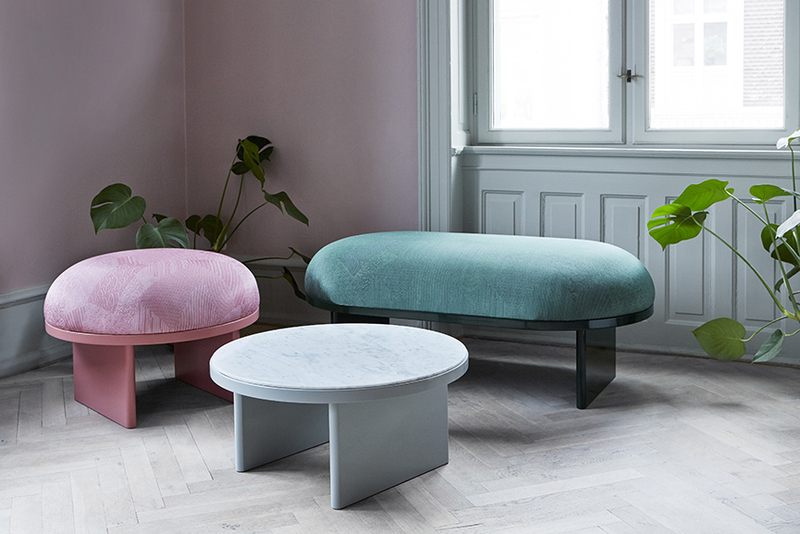 The upholstered items are available in a selected range of textiles and base finishes including an high gloss lacquer inspired by the traditional Japanese Shikki technique and oiled oak.To complete the seating range, a coffee table was designed with a similar base concept and a durable Carrara marble top. Produced by PLEASE WAIT to be SEATED, this collection is part of a wider modular system, developed to cater both domestic and public environments.